The journalists had been working on a Reuters investigation into the killing of 10 Rohingya Muslim men in western Myanmar's Rakhine state during an army crackdown that began in August, which has sent nearly 700,000 people fleeing to Bangladesh. "Wa Lone and Kyaw Soe Oo are being prosecuted simply because they reported the news. 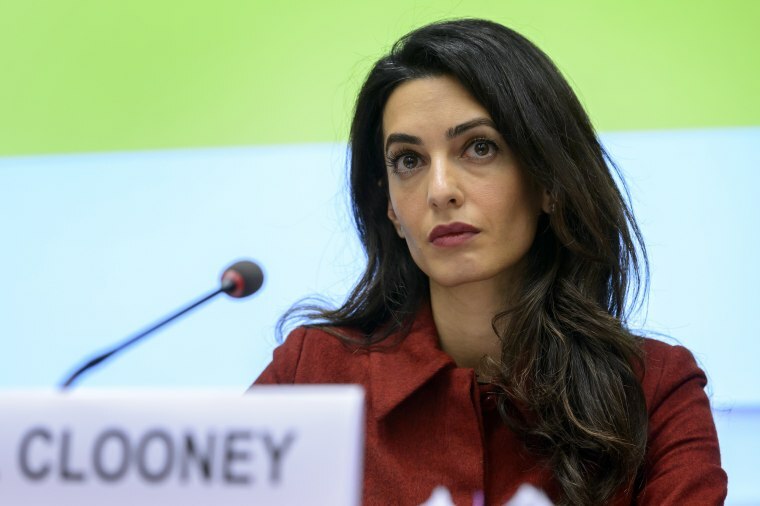 I have reviewed the case file and it is clear beyond doubt that the two journalists are innocent and should be released immediately," Amal Clooney was quoted as saying in a statement released by her office. "The outcome of this case will tell us a lot about Myanmar's commitment to the rule of law and freedom of speech," said Clooney, who is married to actor George Clooney. Zaw Htay, spokesman for Myanmar's civilian government, declined to comment. Myanmar's ambassador to the United Nations, Hau Do Suan, said last month that the Reuters journalists were not arrested for reporting a story, but were accused of "illegally possessing confidential government documents". Gail Gove, chief counsel of Reuters, said retaining Clooney would strengthen the company's international legal expertise and broaden efforts to secure the release of the reporters.